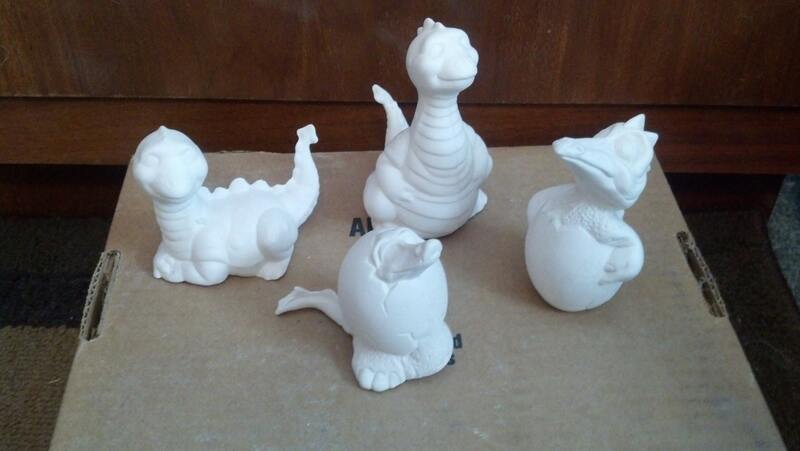 These cartoon version of baby dinosaurs are ready to paint. They would make a cute accent to a children's room. 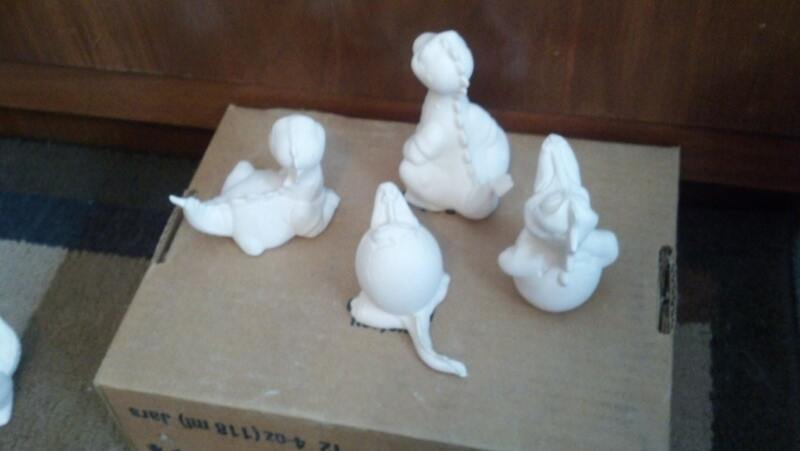 The tallest one measures approximately 4 inches tall.